These days when guests visit your house, particularly if those guests are female then the first part of the house that they normally get excited to view is the kitchen. These amazing designs which we have compiled for you give you a glimpse of what potential your house could have with the right design & materials. 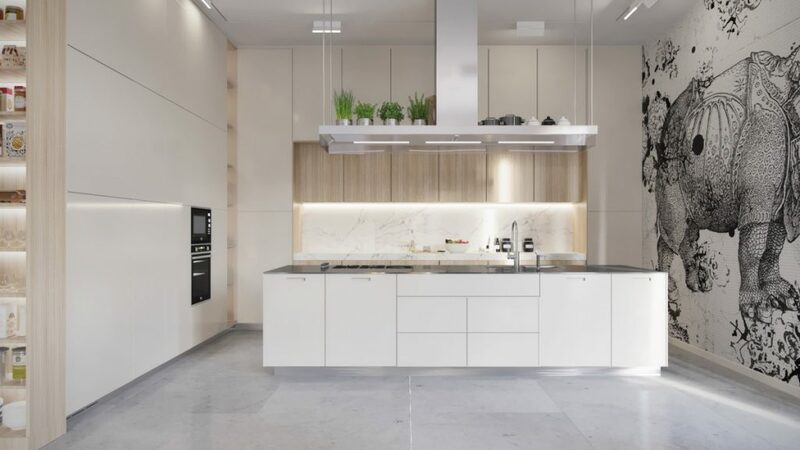 It is expected that kitchen should carry somewhere in the region of 5-15% of your properties value, however, this number get’s distorted in property markets like Sydney where the Median house price is regularly over $1,000,000 at auctions every Saturday. The key to a good kitchen design is combining functionality, with looks & colors whilst using high-quality materials which are cost effective. It may sound like a lot to take in, however, there are many specialist companies which take care of all of this for you & can provide high quality at low prices thanks to them selling high volumes. 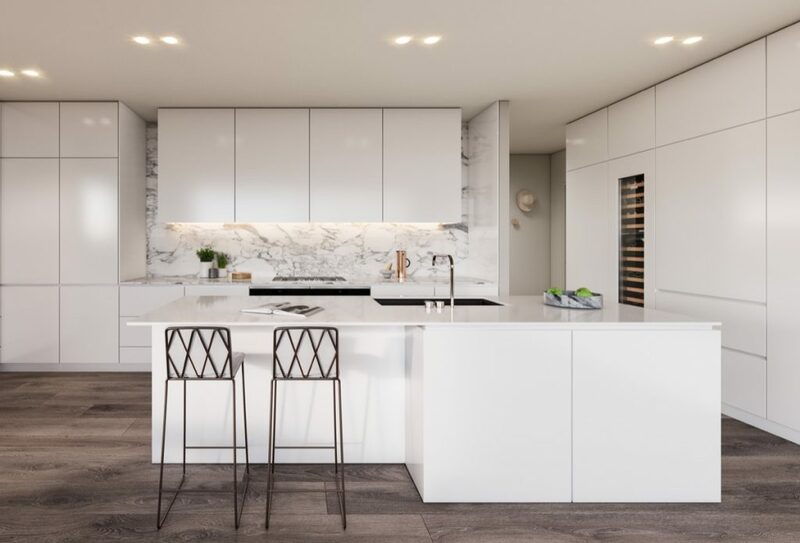 A very elegant gray and white marble kitchen which features minimalistic features which include beautiful white high chairs. This is perfect for a large family with enough to eat at the island. 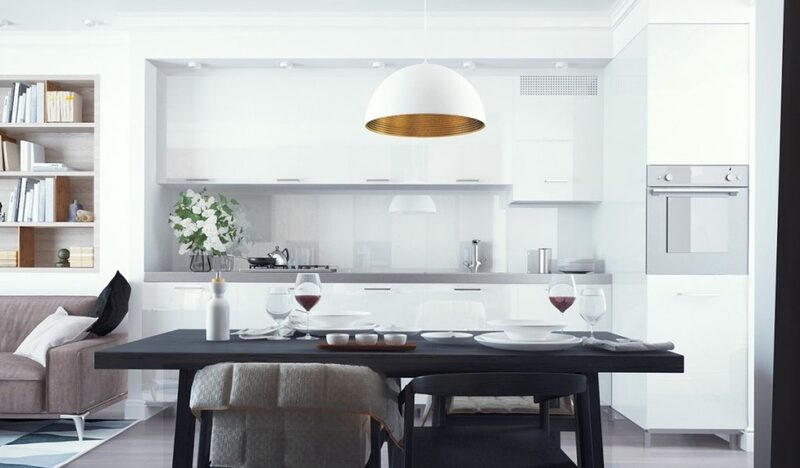 A minimalistic white kitchen with very modern fixtures & fittings which are ideal for a small to medium sized apartment. 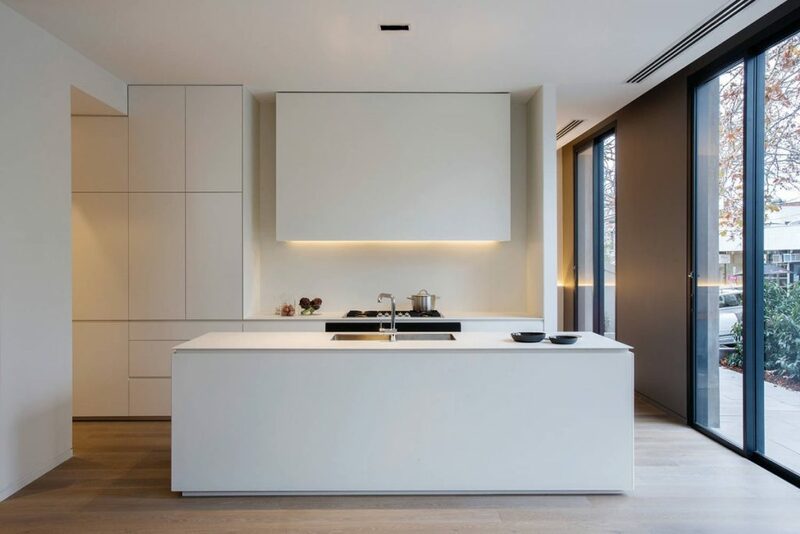 This style includes white stone benchtops & quality laminate kitchen cabinets. A black and white futuristic kitchen which features odd angles. It looks like it has come straight out of a sci-fi movie from the year 2049. 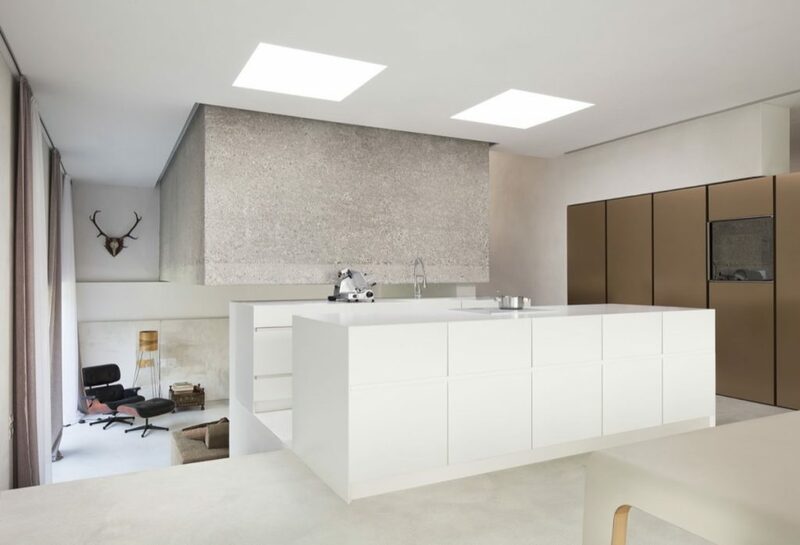 This kitchen will no doubt leave your visitors impressed. Its our personal favorite. 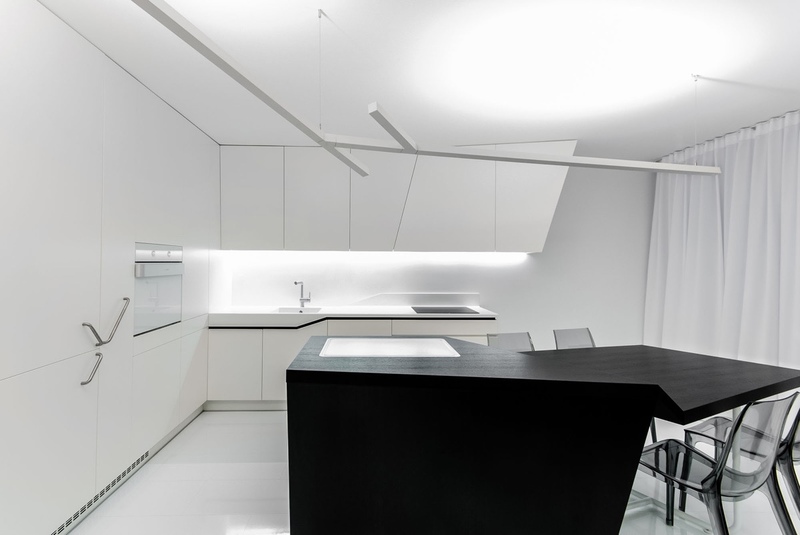 A very funky inner-city type kitchen that combines style & quality. Having this kitchen installed in your apartment will surely make your visitors envy your taste. A modern family kitchen which truly states that it is modern. With its foldable bench tops & large surface area for cooking makes it extremely functional as well as stylish. This industrial style kitchen was a close second for the best kitchen. Its appeal from that rustic look to its clear functionality would look great in any home but would make itself a perfect addition to houses or apartments built with that rustic look. 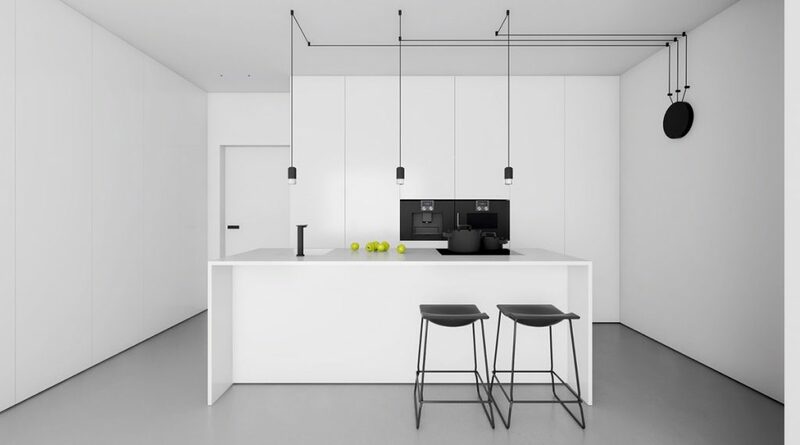 A very simple but highly elegant kitchen design with uses basic shapes and colors yet gives off a dramatic effect to the end user. A great inexpensive option for many homes & apartments. 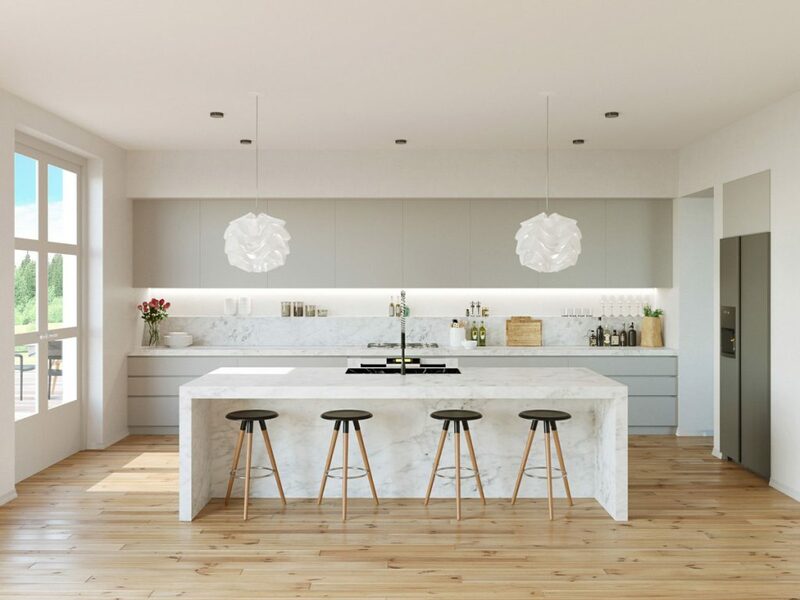 An impressive marble kitchen which will give off a vibe of high wealth. This one is the true show off kitchen & if that’s your thing then this ones for you. 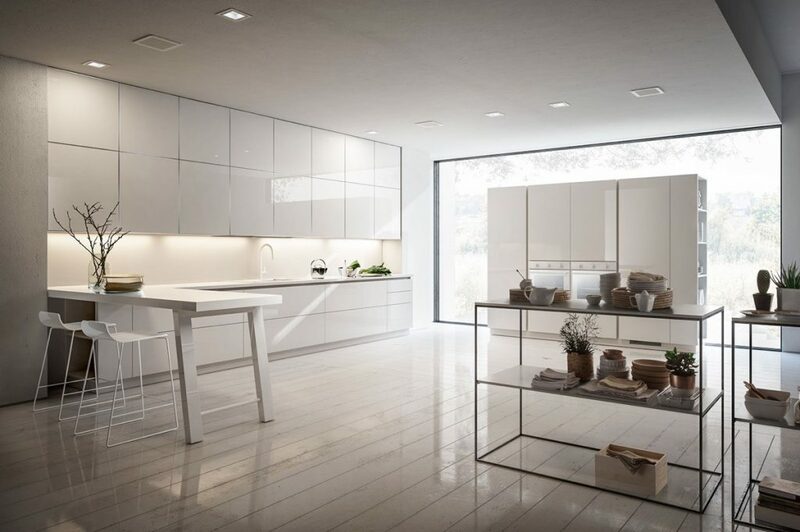 With this white marble kitchen, you will have ample space to cook up to 3 dishes at a time. As big to a commercial kitchen as any of our designs come. This one is for the chef at heart who has style. 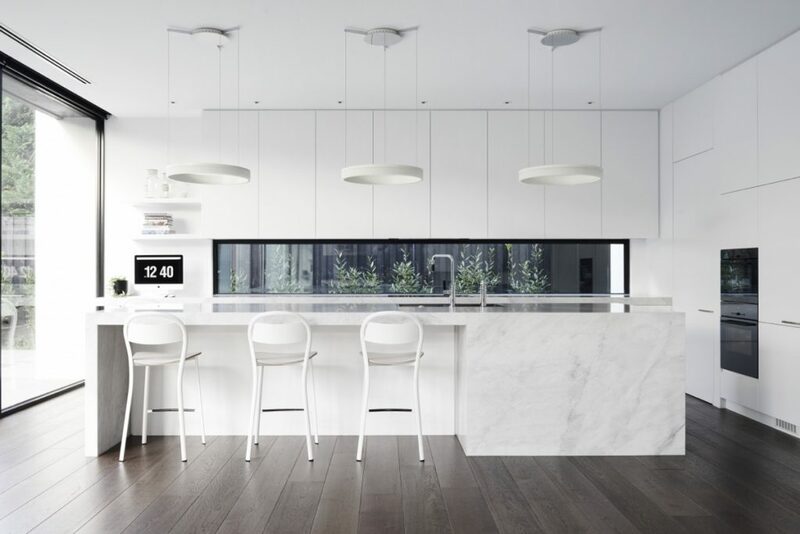 Talk about a white impact, this white marble kitchen design with dark wood floors gives off a sense of pride. It also looks very expensive & the combination of the white walls with dark wood floors set of the marble perfectly. A great family hub. 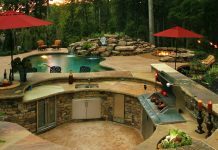 Lets us know which design you think is best for you next dream home or renovation by commenting down below.